Updates and announcements for NeuroNLP.Adult. Sharing query results is easy with the "Tags" feature. Try retrieving the tag "ffbo" or create your own tag! 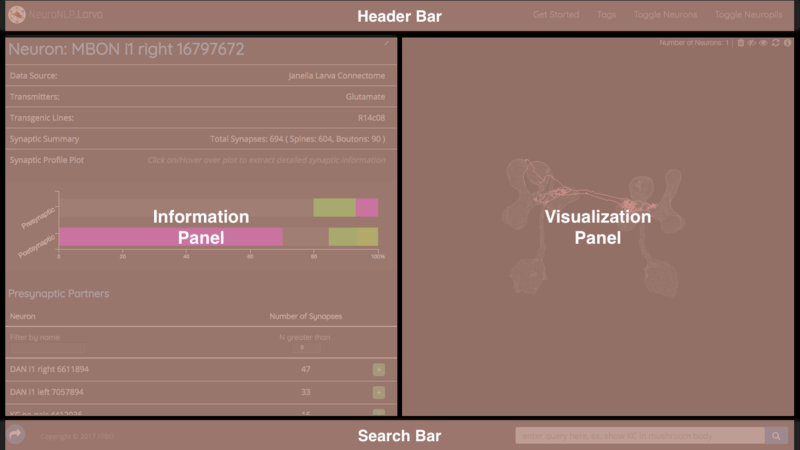 NeuroNLP is a modern web-based portal for navigating fruit fly brain data. NLP stands for Natural Language Processing, which means the website allows user to use intuitive plain English queries for in-depth exploration and investigation of brain structure. Information panel is your major source of information regarding the individual neurons.